I love calendars. I have four or five old school wall calendars around the house. By the time we get to this point in the year I have really bond with them. It makes me sad when I take down the old and put up the new. I used to keep a desk diary calendar. You know the type, a book where you write everything in. I haven’t kept one in years, ever since someone gave me a Palm Pilot. I have years worth of the old diaries in my keepsakes and I love looking at them as they capture what my life was like in the old days. Somehow the electronic version just doesn’t do that so well. The best desk calendar I ever found was the New Yorker Desk Diary. They still produce one every year. I am thinking about going back to the old ways. And if I do, I will totally be purchasing the 2010 New Yorker Desk Diary. For the calendar on the wall, the folks at Hammerpress have some cool designs. And then there is the 2010 Abacus Calendar from Abacus Gallery. 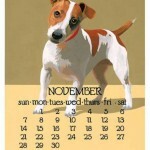 They are offering the twenty fourth edition of their calendar with brand new artwork for the year 2010 by Dana Heacock. This cute puppy, Mr. November, makes it worth buying two. The choices for calendars are endless. A good calendar can make you feel good all year. I have a 2009 Steve McQueen calendar which has been my favorite all year. McQueen was boy favorite movie star as a kid and seeing him on my wall made me feel great. So choose your calendars wisely folks. Happy New Year! 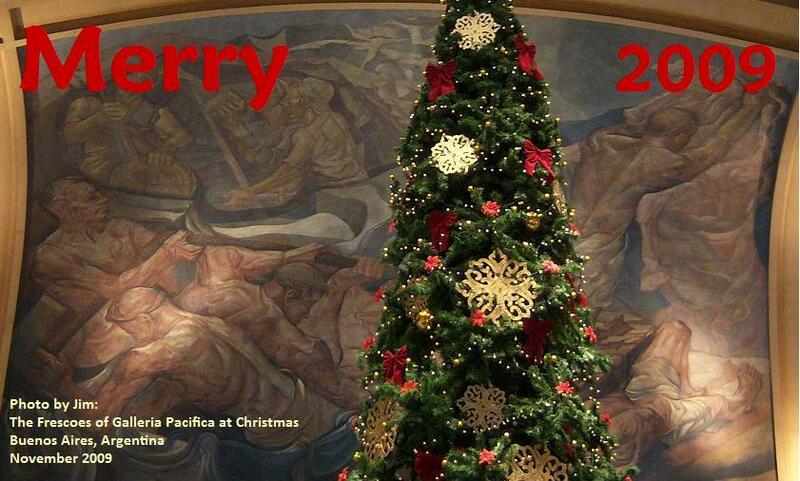 Today, Dec. 26th, is Boxing Day celebrated throughout the British Empire, but sadly, not here in America. My friends and I have great day after Christmas traditions. We get up super early and meet up to go shopping, have a big breakfast and exchange gifts. We’ve done it for years and still do it mostly to see each other and compare notes on our holidays. Boxing Day comes from the old tradition of the upper classes giving the less fortunate a Christmas gift in the form of a box. In more modern times the lord of the manor would give holiday boxes to his servants on the day after Christmas after having worked on the holiday. It is celebrated today mostly to make Christmas a two day holiday in the Commonwealth nations. As an anglophile, I like the whole idea of Boxing Day. It is great excuse to show you this great box I found. 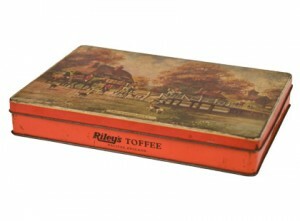 This is a vintage Riley’s Toffee tin featuring a classic English countryside scene: a fox hunt. It may not be politically correct, but we love fox hunt scenes. This tin (or box – get it?) is available for sale from Jayson Home and Garden. Check it out and while you are on the site, poke around, Jayson Home and Garden offer some delightful objects. From all of us at Lost Cowboy! 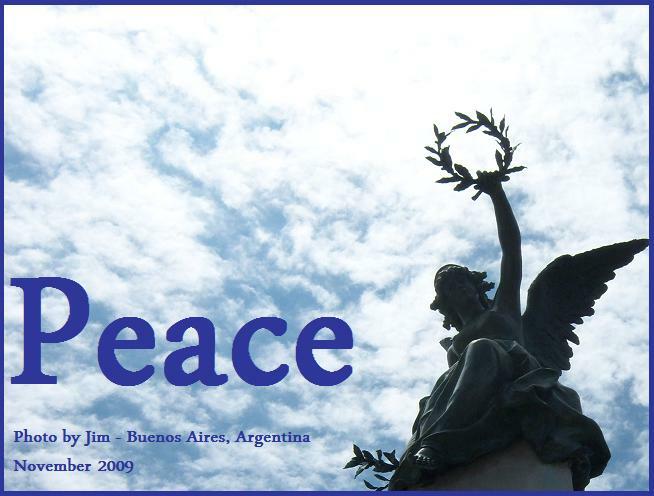 We wish you a peaceful Christmas Eve and a joyous Christmas Day. I am one of the many who love the annual ritual of watching “It’s a Wonderful Life” every year at Christmas time. I also like to make sure I catch “White Christmas” and as many of the classic specials as I can. And I will often sit through all of “Meet Me in St. Louis” just to see the big payoff: Judy Garland singing “Have Yourself a Merry Little Christmas.” Oh and I love every version of “A Christmas Carol” especially the Alistair Sim version (cliché) and the musical version with Albert Finney (“Scrooge”). But there is no other holiday movie that makes me feel that special holiday spirit than the 1945 classic, “Christmas in Connecticut” with Barbara Stanwyck, Dennis Morgan and the fabulous Sydney Greensteet. I don’t know how it started, but for some reason for many years back in the day I tossed in the VHS tape of this film every year as I wrapped my presents. Soon it became a tradition and something I looked forward to. I lapsed a couple of years, most likely due to the fact that I retired the old VHS VCR and never upgraded to the DVD version of the movie. But then last year I was happy see the film show up on Turner Classic Movies and was overcome with a fit of nostalgia that I ran for the wrapping paper. The movie is charming. A bit dated. But Stanwyck is radiant and the story is just delightful. Just a pleasant break from some of the more popular holiday fare. I highly recommend it, especially if you like old movies and have never seen this one. Our buddy Chrissie turned us on Ork Posters recently by telling us she purchased one as a Christmas gift for a mutual friend. We forgot to be mad that she wasn’t buying one for us when we fell in love with the poster featured on the Ork Posters website. We love the look and style of Ms. Beorkrem’s work. She has captured a great look for some of our favorite cities, including Chicago, New York and our hometown, Boston. The mix of color options is fantastic and the possibilities on how to displace these very affordable works of art are endless. They make a great gift for folks who love these cities and nice reminder of your own favorite places. I can’t wait to see what the artist does next. May I humbly suggest… London? See Jenny Beorkrem’s cool city posters on the Ork Posters website. Today is the first day of winter in the northern hemisphere. Christmas is just a few days away. So what is our “find” for the day? Seeds! Flowers! All things spring! It is the only way we are going to make it through the long cold days ahead. 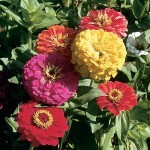 The site has a ton of information and you can purchase seeds as well. I’ve learned a lot from poking around Select Seeds’ website. We love these guys. Again, the idea of preserving heirloom seeds is something worth supporting. So today is the first day of winter, the shortest day of the year. Look at it this way: the days start getting longer now. Spring is just around the corner. What we really want? A Vespa! No, this is not what we are planning for Christmas brunch. Pancake & Franks is a shop that has great cards and stationary. I know, we have heard from more than a few of you: “lay off the stationary” sites. I wish we could, but we can’t, it is like an addiction. We love nice stationary and Pancake & Franks offers the best. wedding invitations. We’re inspired by paper and we’re fervent about letterpress. 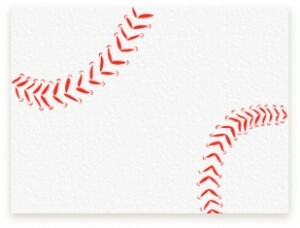 We love the collection of every day cards Pancake & Franks offers – including the baseball themed card featured here. These cards are simple and elegant. They also offer a nice selection of limited edition prints that would make a nice addition to a collection, and they have some nice boxed collections with 30 cards each that will last you for every occasion in 2010. By the way, in case you are wondering, we are serving quiche Lorraine, fruit, and Caesar salad for Christmas brunch – with full pitchers of Poinsettias. Check out Pancake & Franks here. Lost Cowboy is powered by	WordPress 5.0.4 and delivered to you in 1.097 seconds using 64 queries.